With current prices, you could buy a brand new Tesla for less than watching Tesla’s Death Ray on cable. Thankfully, whether you want to learn How the Universe Works or watch Building Giants or Mega Machines, you no longer need a cable subscription. You can watch the Science Channel without cable and save yourself hundreds of dollars a year. Thanks to streaming services, watching the Science Channel without cable is easy, inexpensive, and comes with plenty of options. If you’re looking for a more modest channel lineup, Philo TV carries the Science channel for only $16 a month. If you’re looking for something a little bigger with larger packages similar to cable, DirecTV Now or PlayStation Vue might be better options but cost more at $40 a month. This article will explain the pros and cons of all the different ways to stream the Science Channel to help you make the most scientific cord cutting decision possible. What do I need to stream the Science Channel? If you’re not familiar with internet TV services, they’re streaming services like Netflix or Hulu but offer the same live channels that you’d get with cable. However, unlike cable they’re billed monthly, don’t have a contract, and run through your internet connection rather than cable wires. What this means it that you will still need an internet subscription to stream the Science Channel. When we tell people they still need an internet subscription we hear a lot about “bundle deals” and how internet only packages aren’t worth it. This couldn’t be further from the truth. Cable companies want their customers to believe the bundle deal is the best option because it makes them the most money. Most internet service providers actually offer plenty of standalone internet packages that are not only cheaper but also typically much faster than what you get in a bundle. Why would you pay more for slower internet? Since marketing their cheaper packages isn’t in their best interest, it can be difficult to compare internet prices in your area. Luckily there are a lot of free tools on the internet that help do exactly that. We’ve recently written a guide on how to get internet without cable that explains our favorite tool, broadbandnow.com and how to use it. 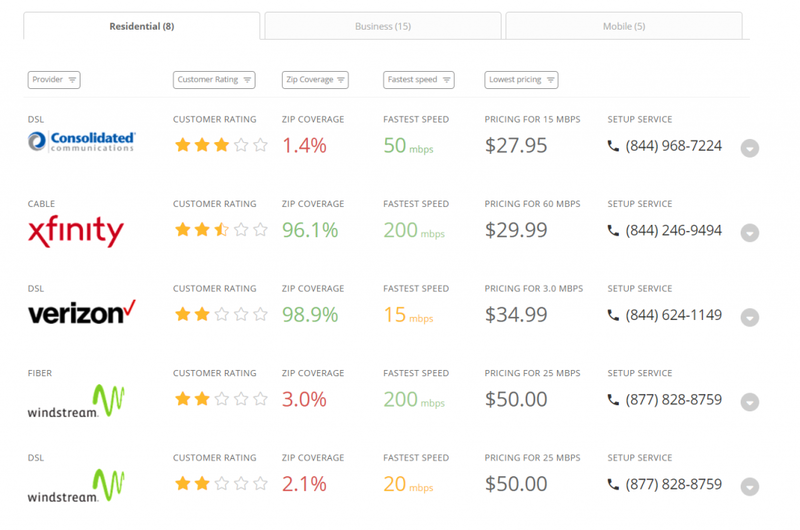 Broadbandnow.com gives you an easy to read comparison for different internet options in your area. Besides an internet connection, the other thing you’ll need to stream the Science Channel is a way to actually watch it. Although you can watch streaming services on a mobile phone or computer, if you want to watch your shows on a TV you’ll need some help. Some Smart TVs can run apps for different services that allow them to watch content directly on the TV. You might be familiar with this if you push a Netflix button your remote. If you don’t have a smart TV, or if your Smart TV doesn’t support the streaming service you choose, you might need a streaming device. You can think of these streaming devices as your “cord cutting cable box”. They’re basically tiny computers that plug into your TV and use your internet connection to run streaming services. Unlike cable boxes, they don’t come with an expensive rental fee and can be used for other streaming services if you switch in the future. They’re also pretty cheap, usually much less than $100 if you’re not getting premium versions. 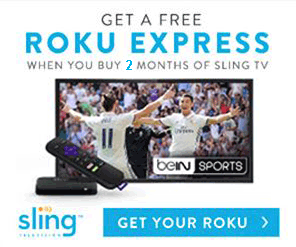 Our favorite streaming device to recommend to new cord cutters and veterans alike is a Roku. 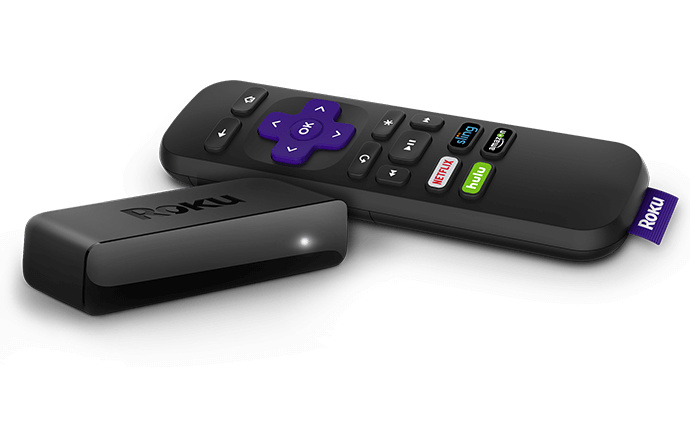 Roku is a major player in streaming and has been around a long time giving them a lot of opportunity to improve their product. Their price point, reliability, and ease of use are a large part of why we recommend them so often. Another reason is that they’re compatible with most services so you’re less likely to have to buy a new device if you ever make the switch. Even though the Roku is comparable with most of the major streaming services, we’ll make sure to outline each service’s devices so you can be certain. If you’re looking to save money by cutting cable it’s going to hard to beat Philo TV. At only $16 a month, Philo TV is hands down the cheapest streaming service to offer premium cable channels. What started off as a streaming service aimed at college students, Philo TV has skyrocketed in popularity due its price and dense channel line up. The reason Philo TV is able to stay so cheap without offering filler stations that no one wants is because they don’t include any sports or local stations. ESPN, ABC, CBS, etc. all air sports and cost a lot of money for subscriptions services to offer. Instead of transferring that cost to its customers or reducing its channel lineup, Philo TV took the opposite approach and excluded them completely. ESPN has it’s own streaming that costs $4.99 a month, but cable TV subscribers pay over $7 in ESPN fees regardless if they watch the channel or not! Why should you have to pay so much for a single channel that you don’t even plan to watch? Although Philo TV excludes sports and local stations it isn’t short on content. With popular networks like A&E, Comedy Central, Food Network, HGTV, and 42 other channels on top of the Science Channel, Philo TV will keep everyone entertained. The image below shows the current Philo TV channel lineup for their 43 channel package. Since Philo TV doesn’t offer any local stations, this channel lineup is accurate across the country regardless of your location. If you like Philo TV’s channel lineup but really still want local channels or sports, don’t count Philo out quite yet. Since their package doesn’t include these local stations, Philo TV is great as an “add-on” package to an antenna (or even other services!). 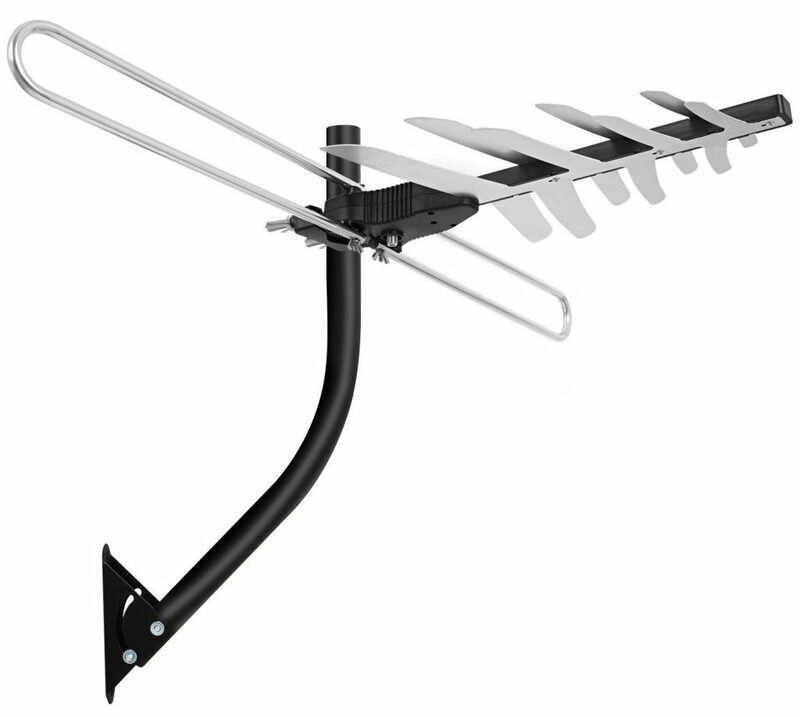 If you were to use a modern antenna to pick up ABC, CBS, NBC and other local over-the-air networks you’d have a complete package similar to a cable subscription. Philo TV would carry the non-broadcast stations and the antenna would give you access to everything it’s missing. If you’re not familiar with modern antennas they’re quite different from the rabbit ears of the past. Not only are the antennas much more “set it and forget it”, the station’s signals themselves have vastly improved. Without diving too deep into a history lesson, in 2009 there was federal legislation that turned all of the over-the-air stations from analog to digital. These digital signals that you can now pick up with a modern antenna are significantly better picture quality than before and are sometimes even better than what you get with a cable subscription. If you’d like to learn more about getting free local stations with an antenna, our How to get Free Cable TV Channels guide will point you in the correct direction. DirecTV Now is a great service with a terrible name. A lot of people are familiar with DirecTV the satellite company as an alternative to cable and immediately think DirecTV Now is the same thing. While that sounds like it would make sense, the two services are both very different. DirecTV Now is a streaming service like Netflix or Philo TV and uses your internet connection to stream live cable channels rather than a satellite. It’s also billed monthly, has no contract, and can be cancelled at anytime unlike the satellite version. Now that an explaination of their poor marketing is out of the way, we can explain why DirecTV Now is a great service if you want to stream the Science Channel. DirecTV Now is a little bit different than Philo TV in terms of structure. Rather than offer a small package with an additional slightly larger one, DirecTV Now offers 4 different packages that include between 65 and 125 channels. Thankfully for us, you can stream the Science Channel with their smallest package called “Live a Little”. At $40 a month, the Live a Little package is a bit pricier than Philo TV but makes up for it in content. By including local stations like ABC, FOX, and NBC as well as ESPN and FOX Sports, the switch to DirecTV Now from cable is much less abrupt than Philo. If your household is used to the variety of channels offered by cable, DirecTV Now might be a better option to get the Science Channel. The table below shows the current DirecTV Now Live a Little channel lineup for our Boston location. Since DirecTV Now offers local channels, it’s important to check their website for yourself to confirm the channel lineup is accurate. DirecTV Now has also recently started offering a cloud DVR service with any of their packages. You’ll get 20 hours of recording and can skip through commercials for your recorded content unlike some of its competitors. Unfortunately, some of the channels in their packages aren’t available to be recorded and others reduce the FPS for recorded shows. PlayStation Vue has a lot in common with DirecTV Now including a really confusing name. You don’t need a PlayStation to watch PlayStation Vue. It was originally released on the gaming console but was so popular that it was quickly released onto most other streaming devices. It’s surprising Sony hasn’t renamed the service to just Vue to eliminate the confusion, but until then the confusion remains. PlayStation Vue is structured much like DirecTV Now and has 4 larger package offerings to choose from. The cheapest one, PSVue Access, costs $40 and includes the Science Channel. It also includes the major local channels, sports channels, and most of the major cable networks. The image below shows the current channel lineup for PlayStation Vue’s Access package for our Boston location. Like DirecTV Now, make sure to confirm the local channel availability for your home before subscribing. The highlighted logos are for channels that are included in the Access package. 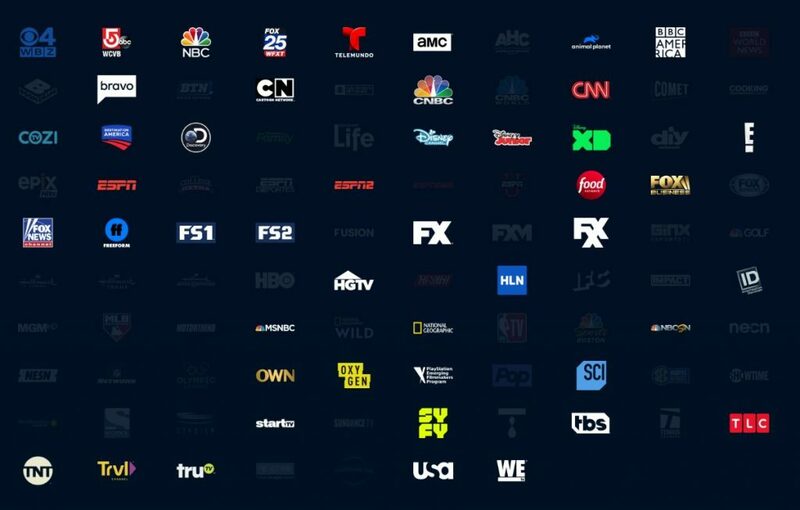 If you see some of the darker logos that you might be interested in, those are included in at least one of PlayStation Vue’s other channel packages. Their Ultra package includes everything shown in the image and costs $79.99 a month. If you’re a sports fan, PlayStation Vue is a fantastic streaming option. It includes most of the major sports networks and even offers some of the difficult to get regional networks like NESN. The fact that they offer a lot of the sports stations at 60fps really helps improve the experience during game time too.